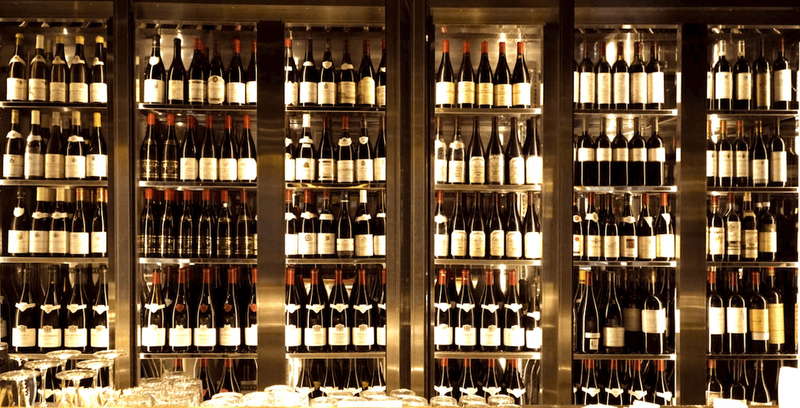 Imagine you could have access to over 2,000 wines and rare Burgundies in one location in Hong Kong. Then imagine you could sample a selection of them by the glass in a sleek setting paired with creative Cantonese cuisine. Well you needn’t imagine any longer, because it’s all waiting for you on the second floor of the new H Code building, at PIIN Wine Restaurant. A passion project of Burgundy aficionados who also own two domaines in the region, Château de Meursault and Château de Marsannay, the restaurant offers an impressive wine programme that focuses on large format bottles as well as rare wines and older vintages. With the intention of making Burgundy more approachable, a variety of affordable labels are also present on the wine list. 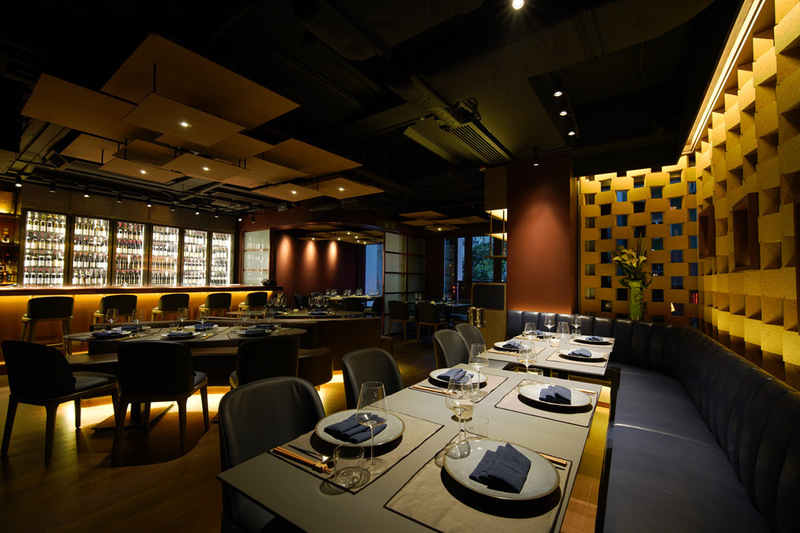 PIIN, named after the Chinese word for ‘taste’ and ‘to savour’, is a wine restaurant with Chinese cuisine at its core. When asked why Cantonese food had been chosen, above all others, to pair with their wines, the answer was simple: it’s all in the texture and flavour. Chinese cuisine is renowned for its different textures in food, from crispy roast pork or smooth tofu for example, which pair well with the luscious texture and silky tannins of Burgundies. The subtle nuances of flavour in both the wine and the food make for a rather delicious marriage. 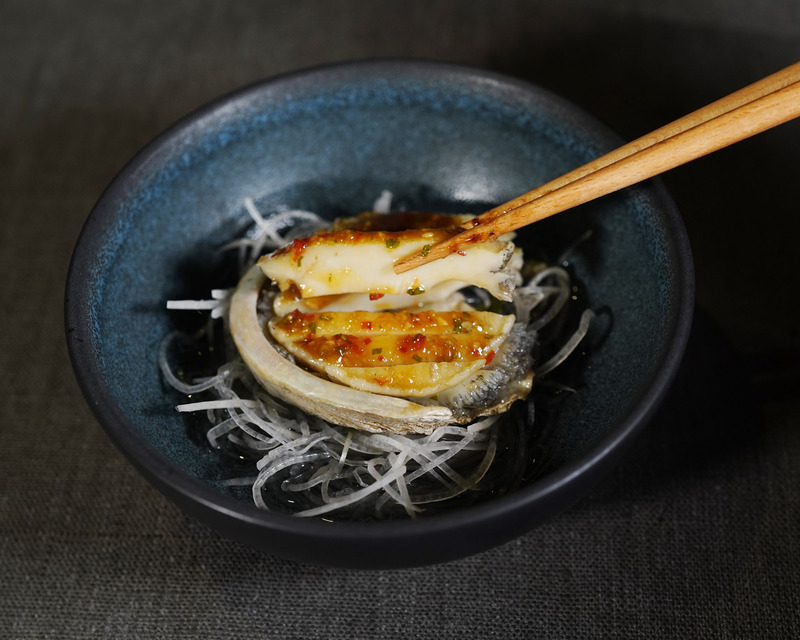 The menu, created by a former Fook Lam Moon chef, puts forward a range of small dishes that are available à la carte and in signature or premium tasting menus, with options for wine paring. 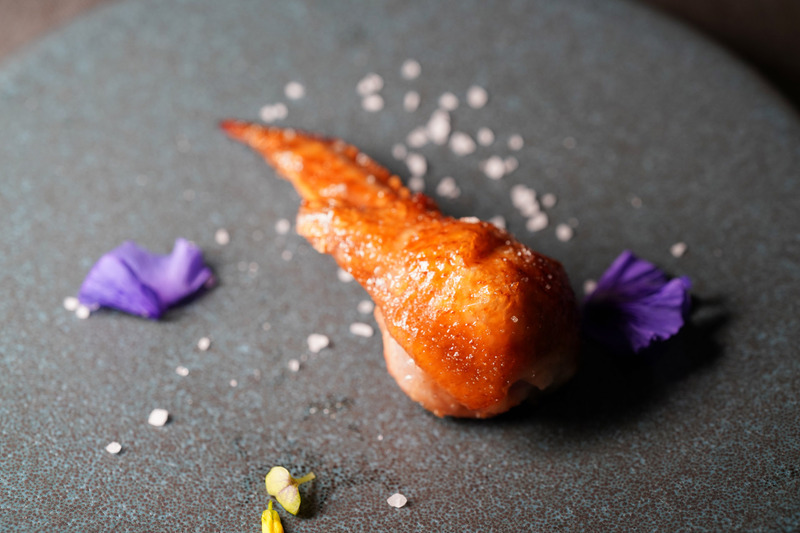 Highlights include Cantonese classics such as slow-cooked pigeon smoked with jasmine tea leaves, a crispy deboned chicken wing stuffed with glutinous rice and garlic, and a nourishing double-boiled soup made with the season’s best produce. 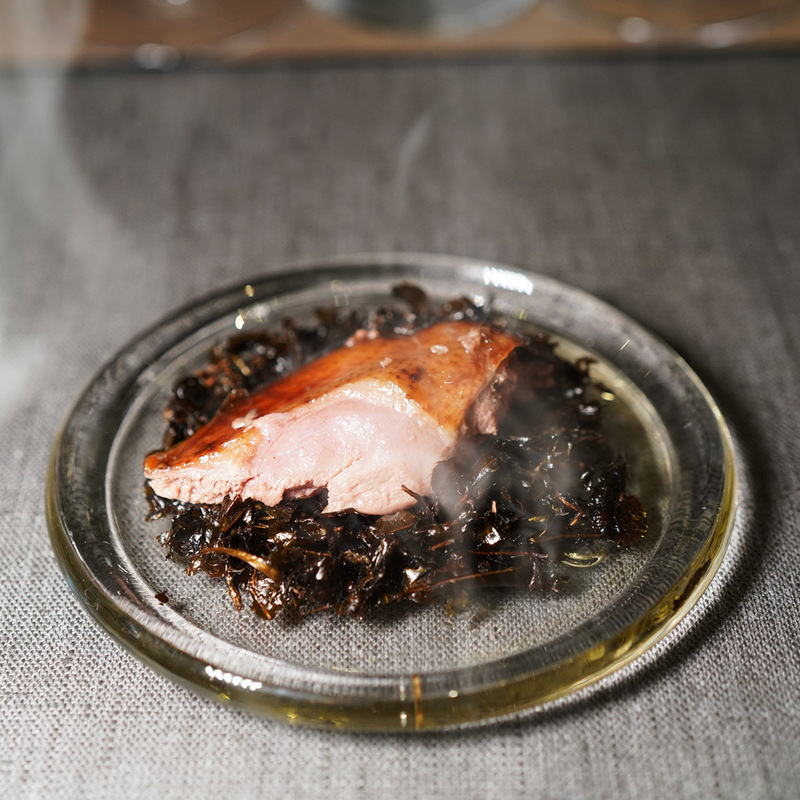 Other dishes that Chef Ming has gotten creative with include the cigar duck roll and a classic claypot rice with steamed minced pork made for one. Some notable pours and pairings include the velvety 2016 Domaine du Château de Meursault, Pommard 1er Cru Clos des Epenots, with ripe blackberry and cherry on the nose, and the bright, citrusy crispness of 2016 Domaine du Château de Meursault, Clos du Château. 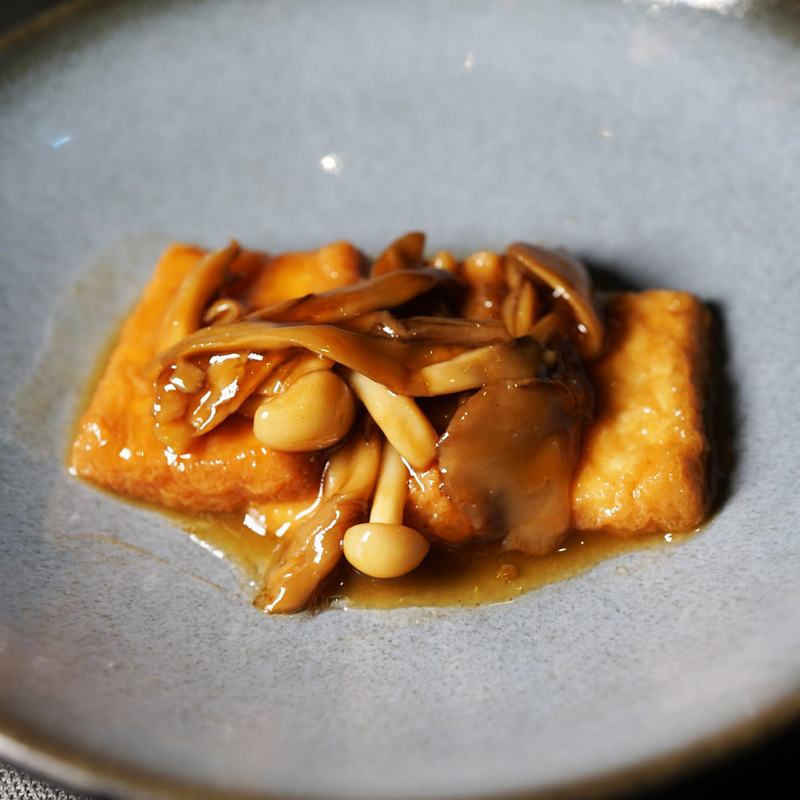 Both Burgundies match the smooth textures of dishes such as Japanese bean curd braised with Maitake mushrooms. The savoury, earthy 2001 Château de Beaucastel, Châteauneuf-du-Pape, on the other hand, is a great pairing for dishes like smoky cold abalone with plum sauce and the cigar duck roll.